Halloween is approaching; soon all your social media feeds will be full of videos challenging non-believers and claiming the ghosts in them are REAL. 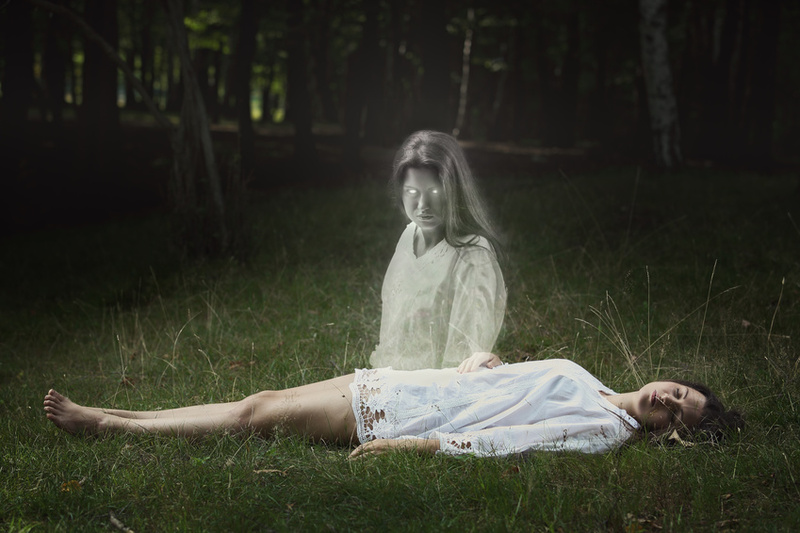 A surprisingly big proportion of us actually do think that ghosts exist – one in three, in fact. The rest of us, though, roll our eyes at these videos. Modern technology makes ghost sightings easy to fake; anyone can do it, even if you aren’t skilled with video editing software. Here we reveal how you can create your very own spectre-filled video. Search YouTube for ghost videos and you’ll find that they all have the same things in common: they’re shot in the dark, they’re of a poor quality, and they involve a lot of movement. This is because the filmmaker is attempting to obscure how they faked the video. If you can’t really see what’s going on, how can you debunk it? Plus, it makes the video look all the more creepy and realistic. We suggest using a lightweight, handheld camera to get that ‘shaky’ effect, such as the Blackmagic URSA Mini Camera. It’s also a good idea to shoot from a distance, as when you zoom in on your subject the shot will become even more unstable. If you’re not confident using editing software, it is possible for you to create a ghost video without it. All you need is a big piece of glass to reflect your actor into the camera. First, get your subject to stand off-screen in front of a large dark blanket; this will ensure the background is not reflected into the glass, ruining the illusion. You then need to angle your glass towards the actor and point your camera at the glass. You must make sure there are no smudges or dirty marks on the glass; otherwise they may show up in the shot. It’s also best to make your scary film in the dark, as the ghostly figure will be easier to see than in a brightly-lit room. Alternatively, you can make your ghoul suddenly appear by using a dimmer switch. If possible, shine a blue light on your actor to make them seem more like a spirit. No software necessary! Stationary videos are the easiest to fake, and you only need basic editing software to create a convincing piece of footage. The camera must be perfectly still, as must the background. Therefore, we recommend filming indoors and using a tripod. Once your camera is set up, you need to film a short clip of your scene with no one in the background. Next, you need to shoot the location again, but with a creepy figure in the background. You could simply put a white sheet over yourself, or get creative with your make-up. All you need to do is poke your head around the door or through a window. Load the clips in your editing software, making sure the blank scene comes before the ghostly scene in the timeline. Because your background is still, there shouldn’t be a noticeable cut point – where the first scene ends and the second begins. However, if there is, you can increase the speed of the film to make it less noticeable. In order to make your ghostly figure look see-through, you’ll need to reduce the opacity to around 30 per cent. Just play around with it until it looks good! Add some text at the beginning of the video stating it has not been faked or edited, etc. Maybe add a creepy, made-up story about the place where you’ve chosen to shoot the clip. This will help trick people into thinking the footage is real. If you’re rather competent with video editing software, and have access to a green screen, this technique may be the best option. Most importantly, you need an editor that has a chroma key effect, such as Final Cut Pro. Again, you’ll need to film two separate scenes. First, you’ll want to film your actor against a green screen; then, you’ll need a setting to place them in later. You don’t have to film the location yourself, but it will look more realistic if you do. Plus, doing so allows you to have other actors in your video. Once filming is complete, import your clips into your editing software’s timeline. Double-click the ghost footage to select it, and open up the effects menu. Search for the chroma key effect and click on it. This will open up a new effect tab, which will appear on the left viewer window. Clicking on the chroma key tab will open up the settings; from there you’ll need to select the eye dropper icon. Using the eye dropper, select the green screen background and erase it. The other footage can now be placed behind your ghost. It’s likely that your actor doesn’t look very ghoulish at this point, so you can make them look dead by changing their colour. Do this by double-clicking on the clip and opening the effects menu. Search for the tint effect and select the colour you want your ghost to be. A greyish-blue tends to look the best. Just like in the previous technique, you’ll need to turn down the opacity to make the ghost appear see-through. You can find this setting under the motion tab. There you have it – three ways to create your own ghostly video. Why not try to scare your friends this Halloween? All you need is a camera. Happy haunting!